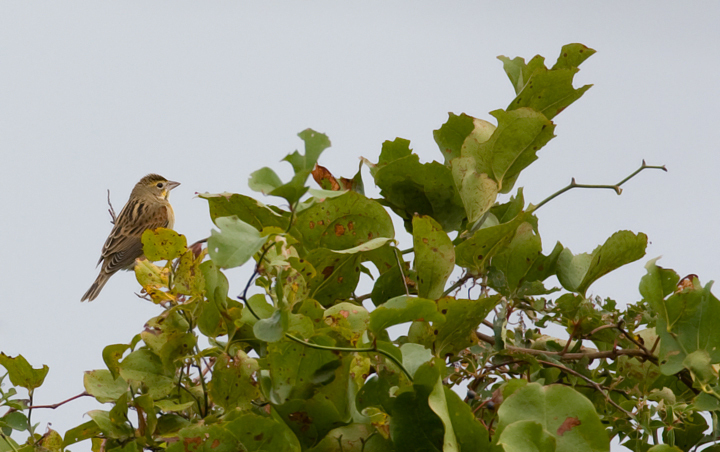 Coastal Maryland in late September. 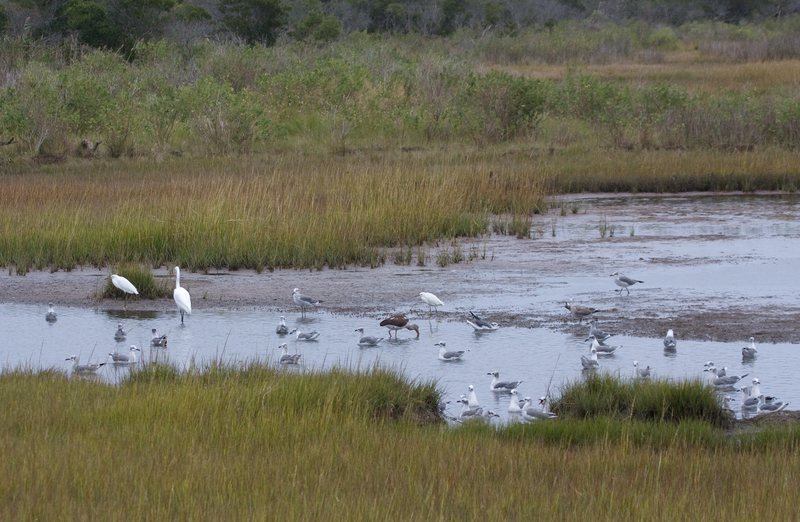 Last updated: 9/27/2009. 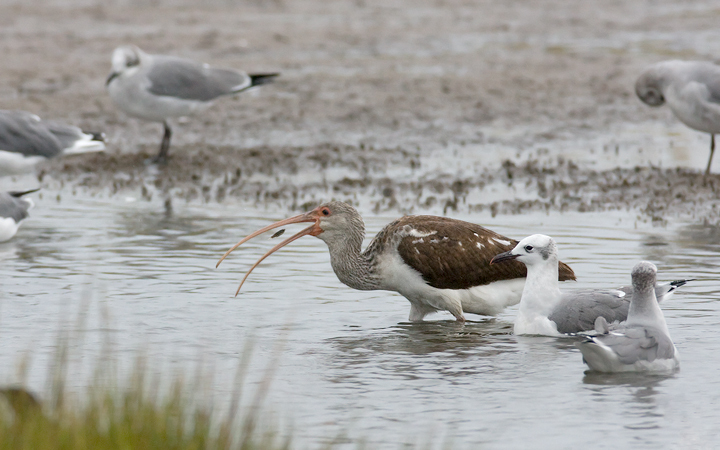 Above and below: A juvenile White Ibis on Assateague Island, Maryland (9/25/2009). 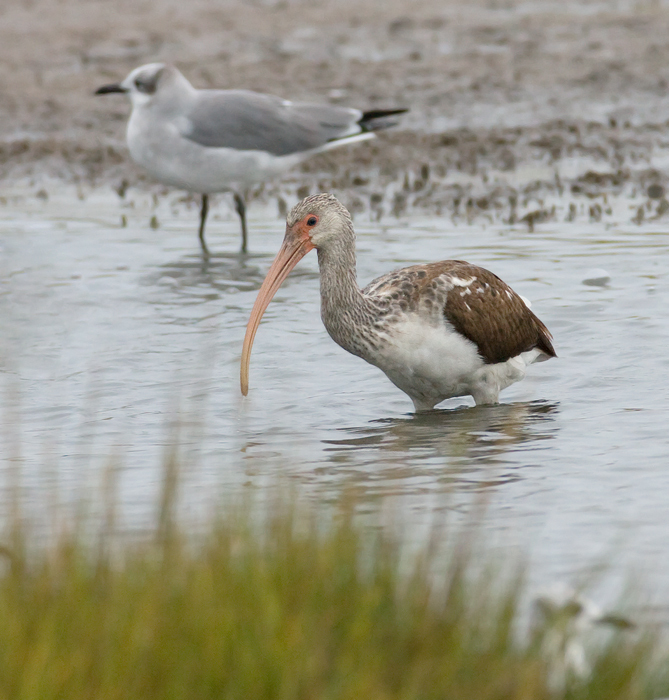 This is one of three White Ibis that flew over Bayside Assateague in the morning flight - one adult and two juveniles. 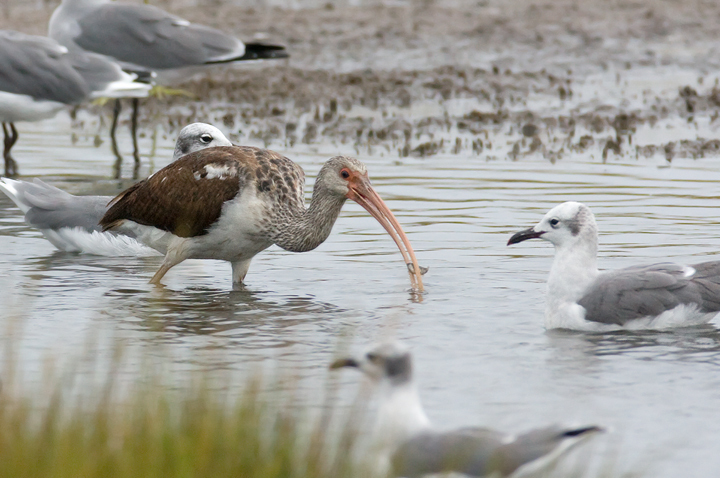 Although White Ibis breed in Virginia, this species remains extremely rare in Worcester Co. 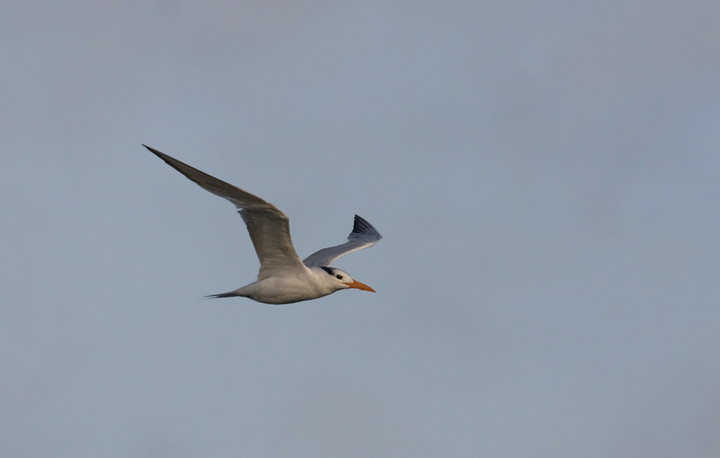 This juvenile was tracked down at the Life of the Marsh Trail, where it was tossing back mummichogs amidst Laughing Gulls and other waders. 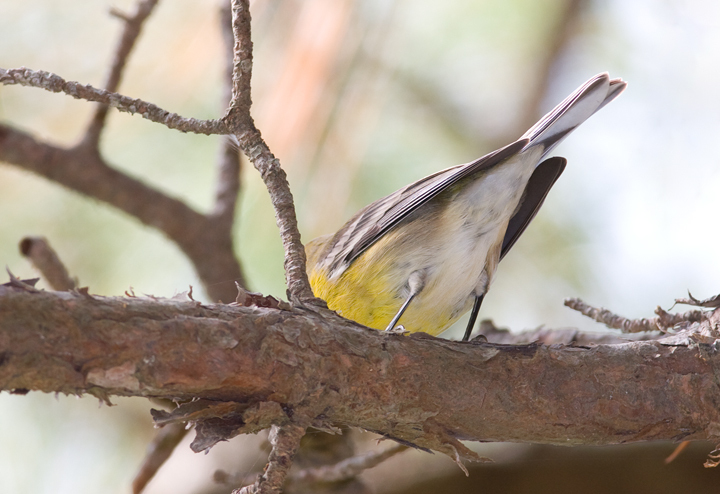 Click the third photo below for larger size. 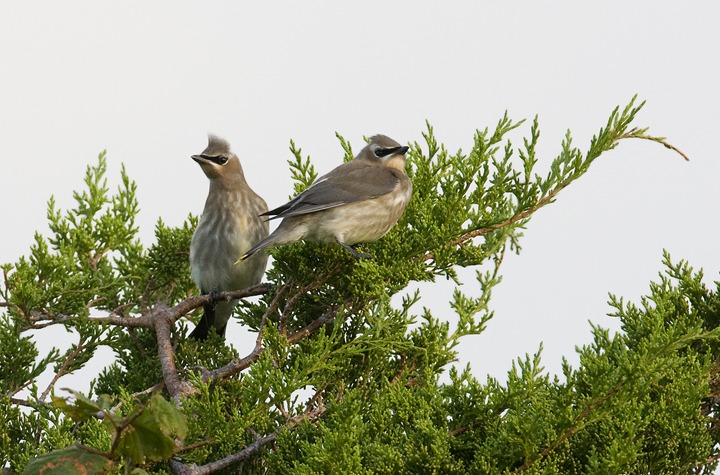 Below: Juvenile Cedar Waxwings taking a rest amidst the weekend's gusty winds - Assateague Island, Maryland (9/26/2009). 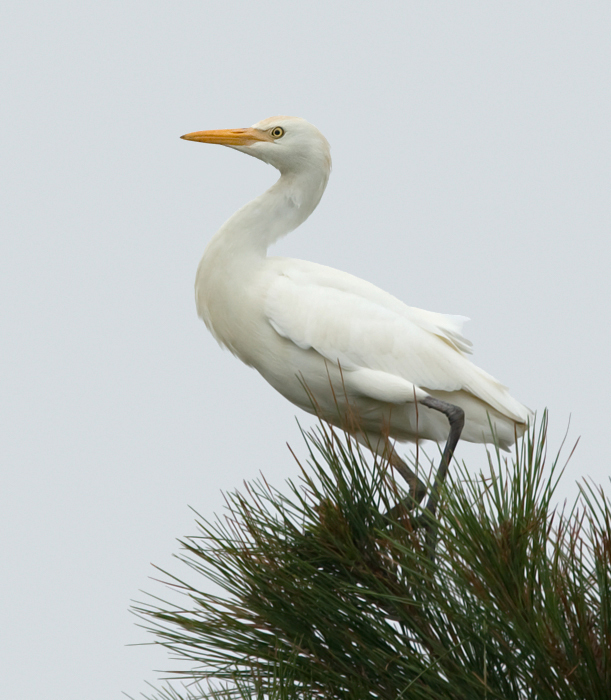 Below: A Cattle Egret on Assateague Island, Maryland (9/25/2009). 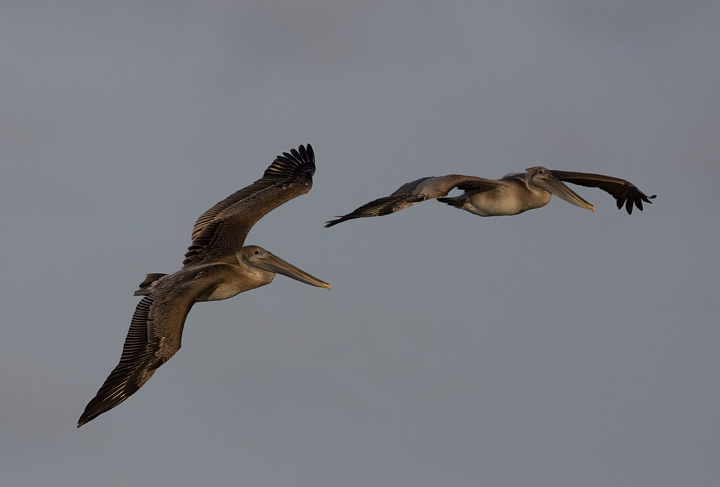 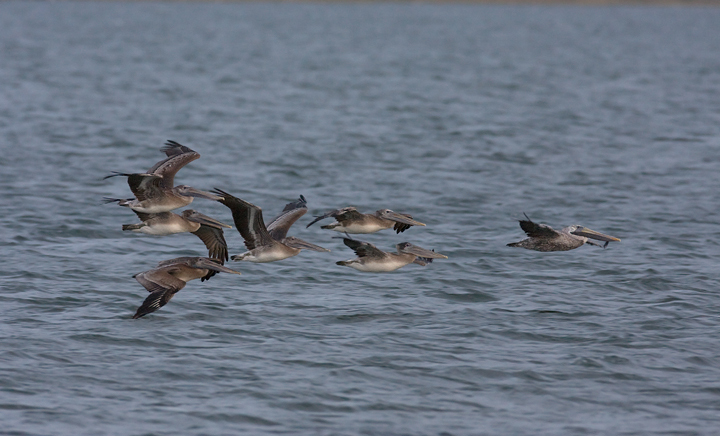 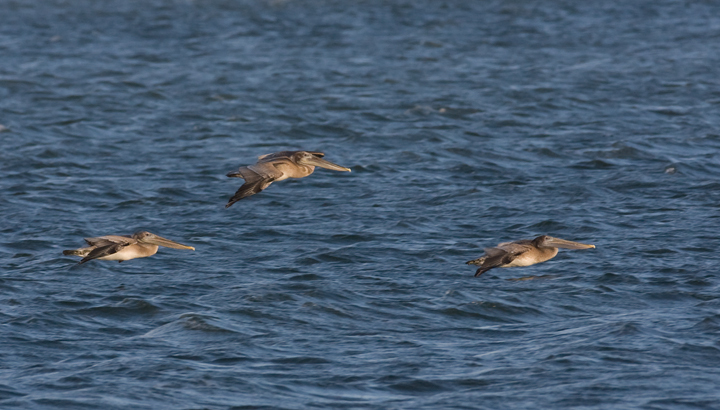 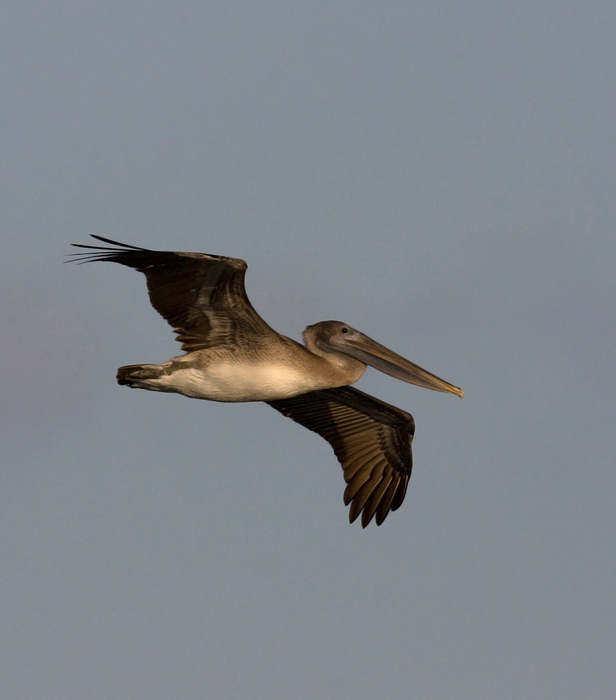 Below: Brown Pelicans commuting past Bayside Assateague, Maryland (9/26/2009). 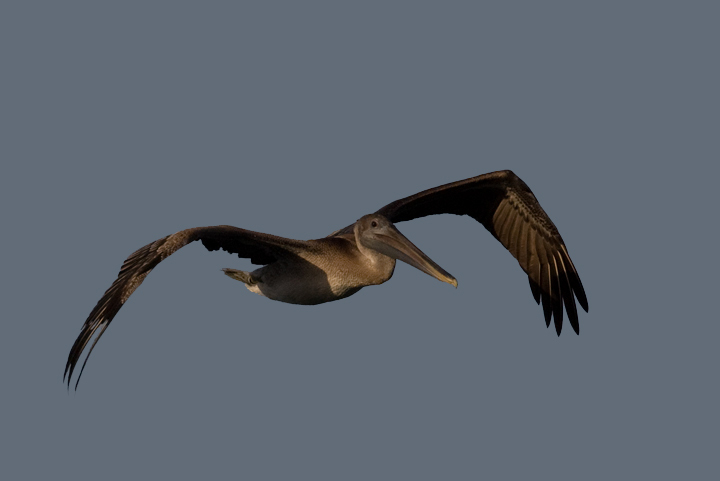 Click the last of the pelican photos for a larger size image. 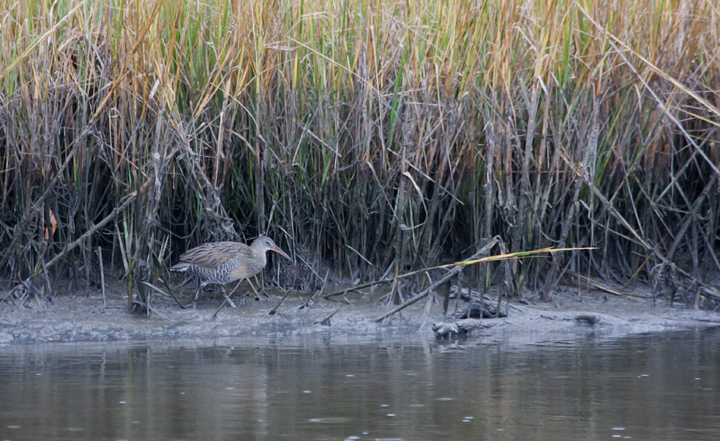 Below: A Clapper Rail forages along the marsh edge on Assateague Island, Maryland (9/25/2009). 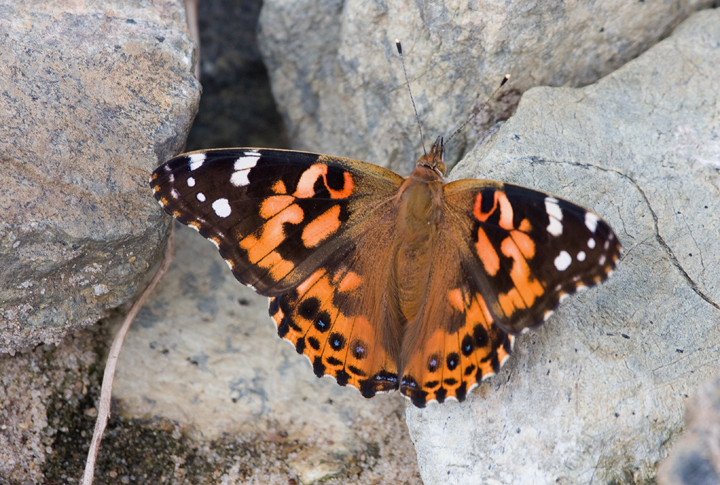 Below: A Painted Lady in Hurlock, Maryland (9/26/2007). 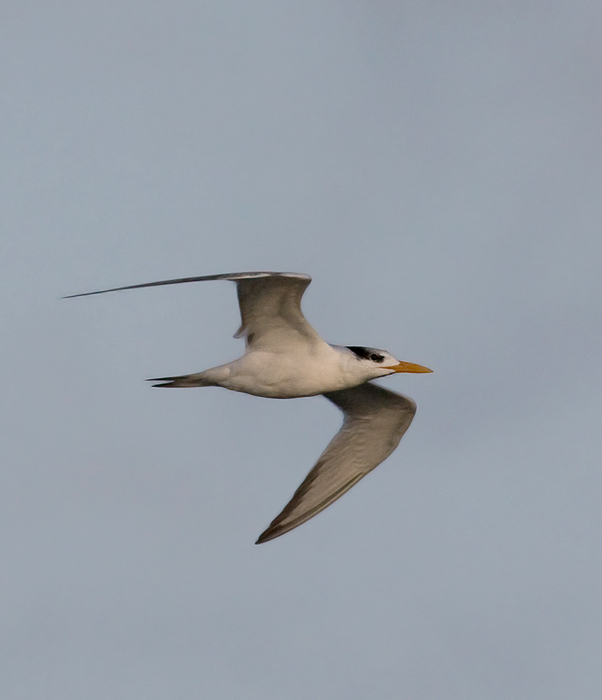 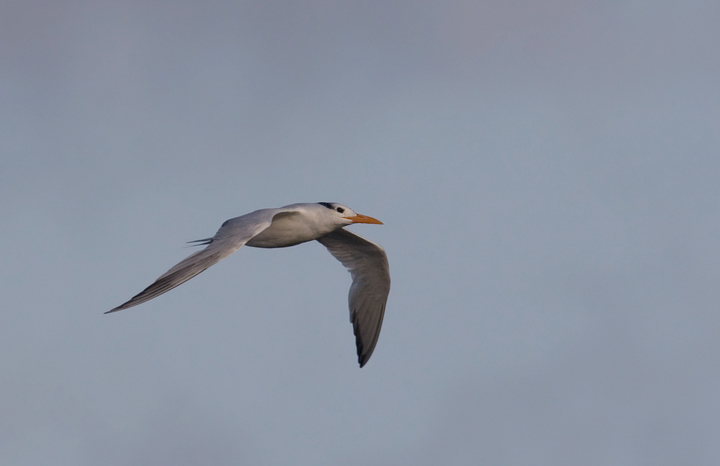 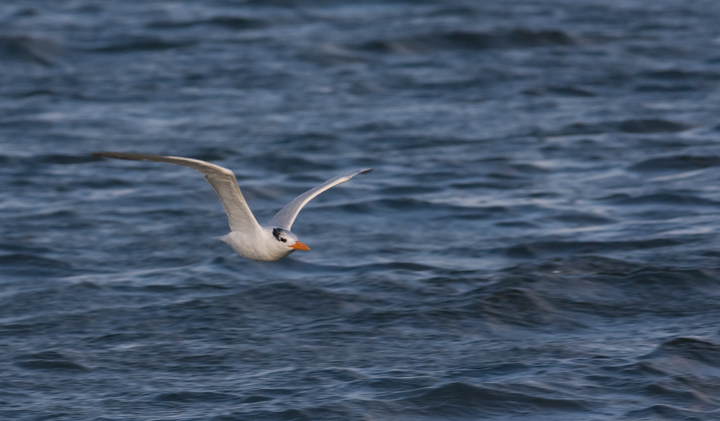 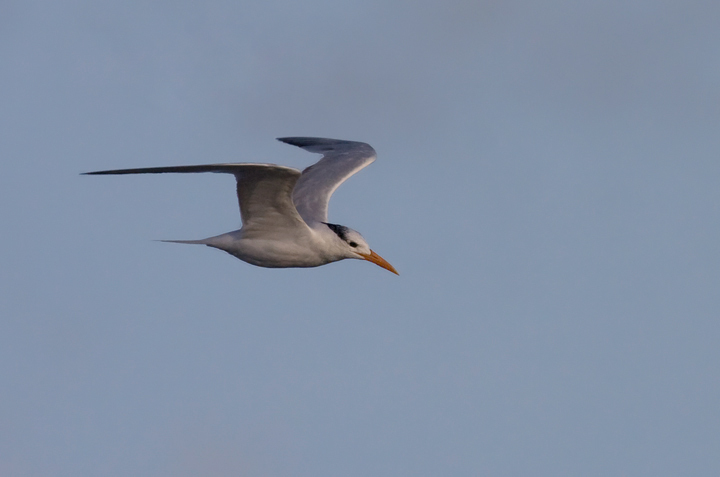 Below: Royal Terns at Bayside Assateague, Maryland (9/26/2009). 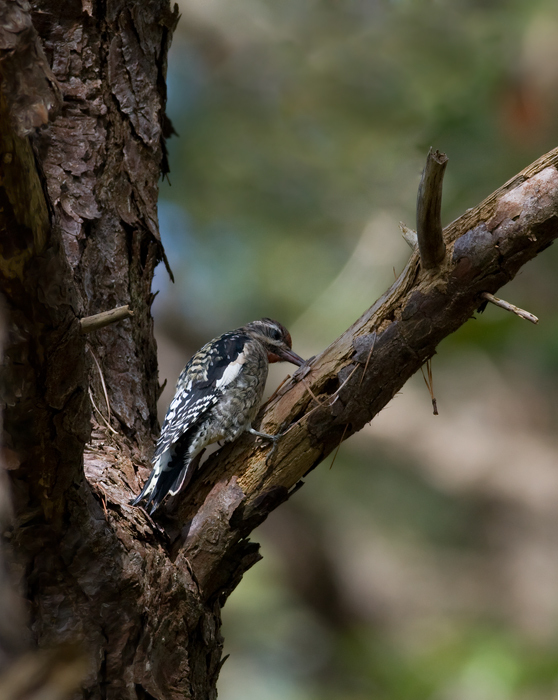 Below: A recently returned Yellow-bellied Sapsucker on Assateague Island, Maryland (9/25/2009). 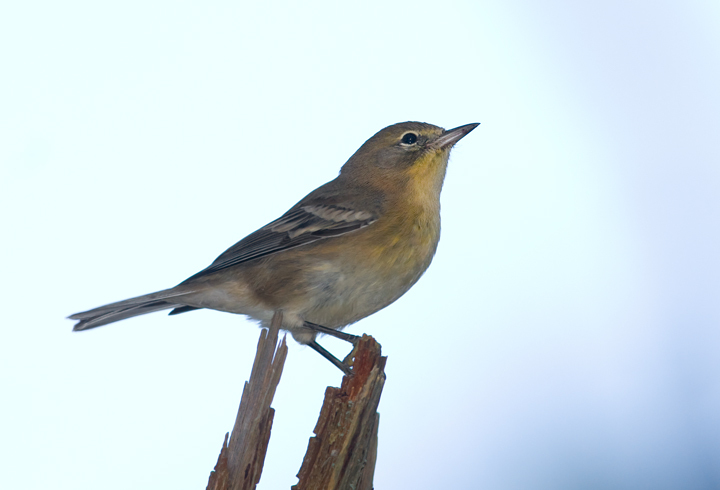 Below: Pine Warblers on Assateague Island, Maryland - second photo shows undertail pattern. 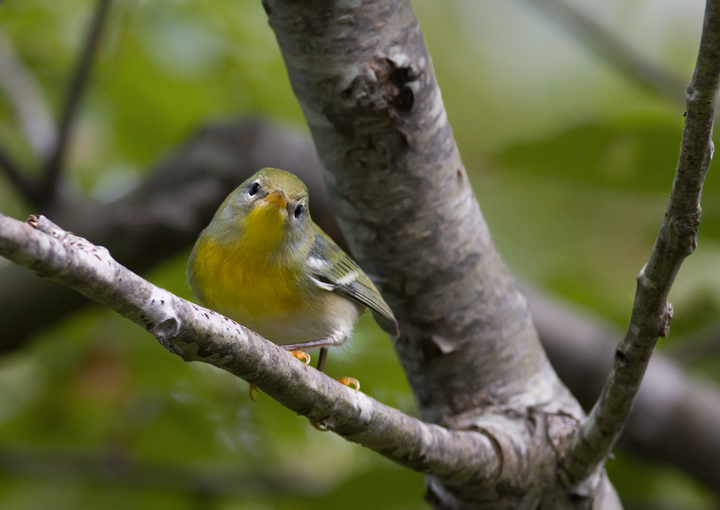 Below: A Northern Parula investigates birders on Assateague Island, Maryland (9/26/2009). 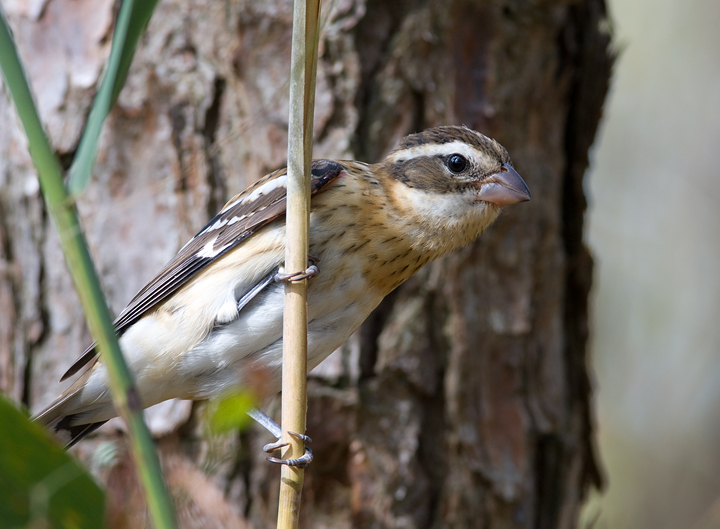 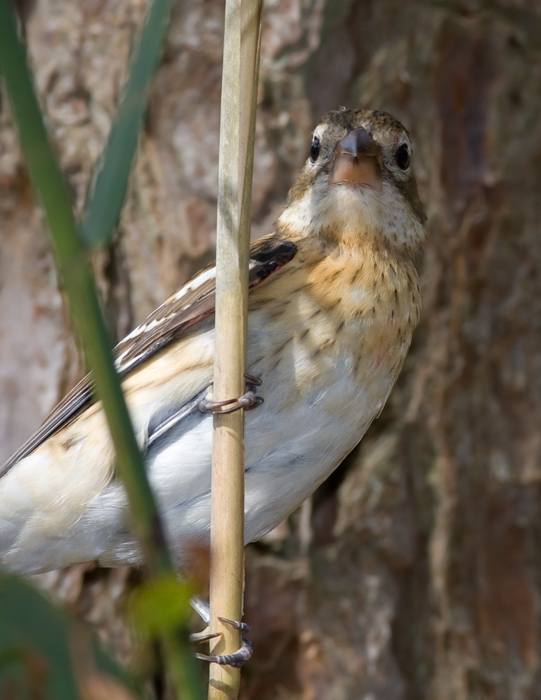 Below: A Rose-breasted Grosbeak on Assateague Island, Maryland. 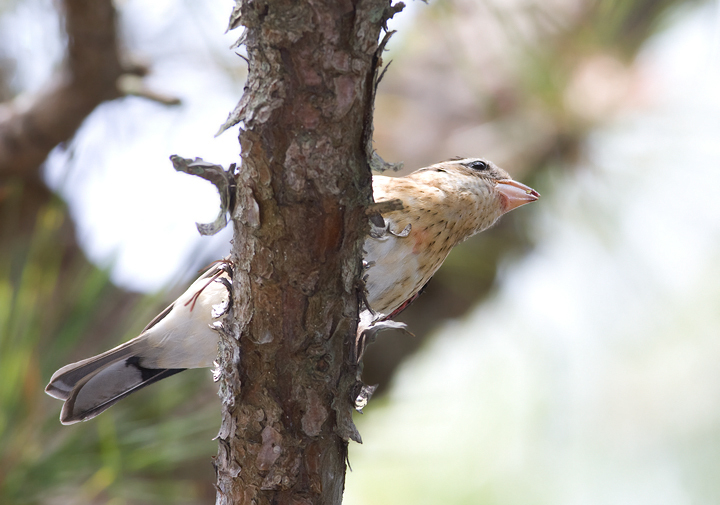 Note the incoming rose-colored feathers on the breast and brown flight feathers that identify this bird as a hatch-year male. 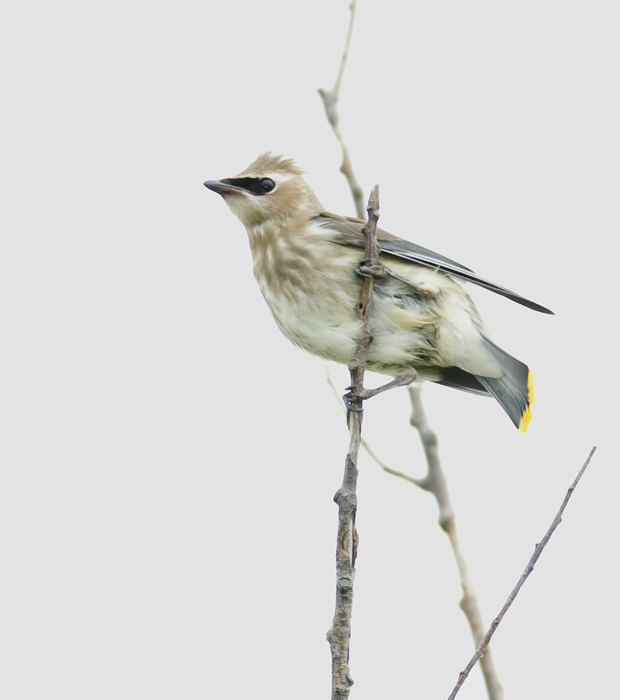 Thanks to Walter Ellison for help aging this bird.